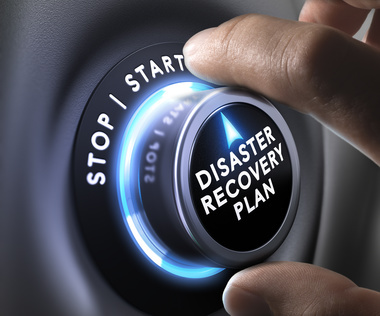 Every business knows they need to have a disaster recovery plan, but does every business realise just what needs to go into that plan? And do they realise merely having a backup of their system is not enough? Two acronyms that anyone with an IT job title should be aware of and two acronyms that should feature prominently in any Business Continuity Plan. Let’s dive into what these actually mean. This looks at the data of a company and how much data can be lost if a disaster were to strike before it was to have a serious impact on a business. RPO can be determined by looking at the amount of time between data backups and how much data could potentially be lost between these backups. This means that a business who deems their data to be critical, and can’t afford to lose a high amount of it, would plan an RPO with a small timescale. This would result in backups of data being undertaken more frequently in order to minimise the risk of losing vasts amount of data. To give this an example, a Data Programming business which deals in writing thousands of lines of code every hour would have more frequent backups than a Tradesman who raises invoice using their systems once a week. The Tradesman would only need a backup once a week after they have uploaded the new invoices, whereas the Data Programmers could potentially need a new backup every hour to save them from losing precious code. In the example above, the Data Programmer would have an RPO of 1 Hour, whereas the Tradesman would have an RPO of 1 week. Recovery Time Objective is the length of time a business deems acceptable for their systems to be down before it puts the future of the business at risk. As you can see this takes on a broader approach to the whole business and all its systems rather than being limited to just data. If the business cannot survive for long without access, then they will have to set an aggressive RTO strategy. Research has shown that a high percentage of businesses that lose data or cannot resume operations within 10 days are not likely to survive. Here at Stream Networks, we have RPO and RTO’s built into our business continuity plan as part of ISO 27001 compliance and accreditation. With this practical experience, in addition to a wealth of knowledge, we are able to offer businesses a free no obligation Cyber Security Consultation. We won’t try and sell to you, all we want to do is talk – it really is as simple as that! Just fill out our form below, and we’ll be in touch to schedule a consultation at your convenience. Alternatively, contact us on 01635 884170 or sales@stream-networks.co.ulk to talk now!